Lily has been very busy, Every Monday she greets the children at the childcare center, then on the first Mondays of the month she reads with the kids at Keyport Library. We always have lunch at the Panera in East Brunswick where the staff and customers get excited to see her and we find out people’s needs and hurts. Then we go to Victoria House where we have some regular patients we visit. They are very excited to see her, as well as other patients who don’t get visits from family. Wednesday she has started visiting at Alcoeur Gardens which is a special Alzheimer’s facility. Then she also goes to Keyport library and visits Madison Nursing Home. On top of these regular visits she has participated in the inter-generational program at the OB Senior Center. This program pairs the Seniors and the Seniors from the High School to meet and learn life experiences from each other. 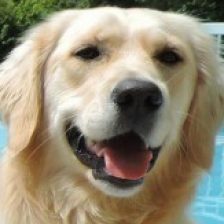 On May 3rd we will be going to Connecticut to participate with the other East Coast Comfort Dogs in a fundraising event for one of the victims of Sandy Hook Elementary. Lily has also been invited on May 11th to the Belmar Rescue Squad to introduce herself and explain what she does and offer her services to the area. On May 30th Lily will be going to the Ridge Animal Rescue Event (Hollywoof). It has been an amazing experience so far with Lily and all the stories, people we have met, and the places God has put us. It is truly incredible. I am keeping a Lily journal and maybe someday there will be a book on the amazing adventures of Lily!! !